Ja Ja - 1. April - and in addition the link is not working any more - so double 1.April ? 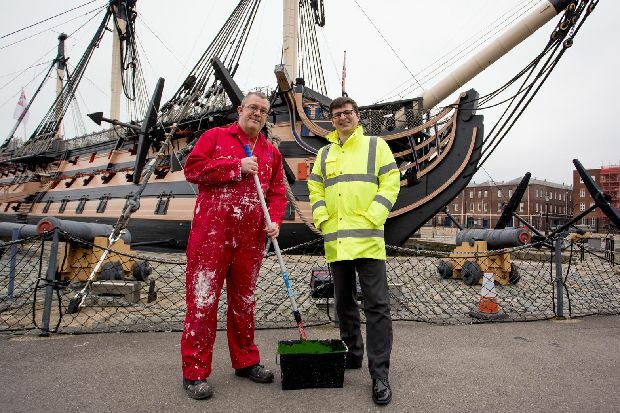 The nation’s most famous ship, HMS Victory, is to be painted green for the next two years, The News can reveal. It was just an April Fools prank - they wouldn't dare! Indifferent as I am to warships, I would certainly object if they did try and paint it green!